Getting sick while traveling is a real bummer. And not just because you have to miss out on a vacation you meticulously planned months in advance. Falling ill while on the road can also cost you thousands of dollars if severe symptoms force you to seek medical care outside of your insurance network. 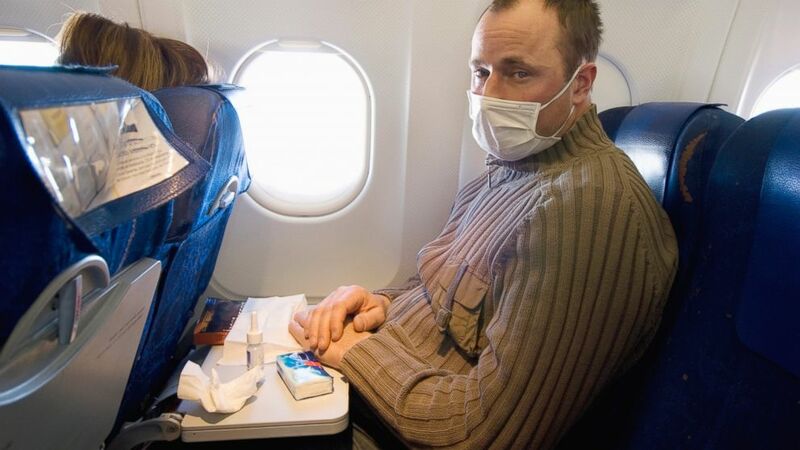 To ensure a healthy travel experience, first be sure that you’re not showing any symptoms of illness before you depart. If you are, do not board your flight. The stress, lack of sleep and physical stress you’ll encounter while on the road will only amplify any pre-existing ailments you may or may not be battling. Assuming you’re starting your travels feeling healthy, here are some simple tips to ensure that you do not get sick on vacation. Be active in preventing potential health issues by getting vaccinated. Research the countries you plan on visiting and then consult your doctor to see if there are any vaccinations you need. If you need any immunizations or vaccinations, see your doctor at least 4 months before you leave. Protect yourself against insect bites. Mosquitoes can spread all types of diseases. Protect yourself by using insect repellents that contain DEET, sleeping with mosquito nets, and by wearing light colored clothing. Make sure you apply bug spray every couple of hours as time and sweat can reduce its effectiveness. This is something that is so simple yet many people forget to do it, or they don’t do it enough. Keeping your hands clean can help reduce and stop the spread of germs that can cause vomiting, diarrhea, food poisoning and a list of other things that I’m sure you would rather avoid on your vacation. Before you eat, after you eat, and after going to the bathroom are some of the important times to be washing your hands. Something so simple and easy can go a long way in helping you to avoid getting sick while travelling! If you’re somewhere where it’s not possible to wash your hands, then use hand wipes or a sanitizer to kill germs and bacteria. Always have a package or bottle of these with you when you travel, they are great to have so that you can sanitize your hands when hot water and soap is not available. Wear sunscreen and a hat during peak sun hours to prevent sunstroke and burns. Ensure you apply sunscreen every couple of hours. Too much time in the sun can lead to nausea, vomiting, headache, light-headedness, and muscle cramps. Make sure to drink lots of water to stay hydrated and healthy. This is something that is easy to do yet it can also be easy to forget. Symptoms of mild to moderate dehydration include: sleepiness, headache, constipation, dizziness, and muscle cramps. If you start to feel these symptoms drink plenty of water and you could start feeling a lot better. Know if the water is safe to drink. Ask your doctor if it’s safe to drink the water where you’re going. If not, make sure you only drink bottled water, brush your teeth with bottled water, and avoid ice. Be cautious when travelling to a foreign country where there is a risk of eating food contaminated by bacteria, parasites, or viruses. Avoid foods such as: unpeeled fruits and vegetables, salads, food that is not served hot, and unpasteurized dairy products. Consult your doctor for further information. If you have a long layover or a long flight make sure you get up to stretch every couple of hours so that your muscles don’t get cramped. Travelling can be hectic and stressful so make sure that you do your best to sleep 7-8 hours a night to avoid exhaustion. Not only is a lack of sleep bad for your health and well-being but it can also cause you to be grumpy and irritable, two things you shouldn’t be on a vacation! Bring medicine in case you do get sick. Prescription medication: Insure ahead of time that you have all the required prescription medicine that you will need during your trip, in its original packaging. You don’t want to run out while you are travelling! Medicine for digestive issues: Different cuisines and differences in food preparation can cause upset stomachs and diarrhea. Insure you have medicine, such as Pepto Bismol, in case you experience any tummy troubles. Cough and cold medicine: In case you do get sick while travelling you want to be prepared. Buying medicine in a foreign country can be confusing and overwhelming, so avoid this by buying medicine you are familiar with at home and bringing it with you. Pain medication: Insure you have some type of pain medicine to protect against headaches and muscle pains such as Tylenol or Motrin. Antibiotic cream and bandages: These are good to have in case you cut or scrape you skin while travelling. Motion sickness medication: If you are prone to nausea and motion sickness bring medication to prevent these issues. It’s always best to consult with a doctor or nurse before a trip to ensure that you are properly prepared for your next trip!